lester credits from David Cairns on Vimeo. 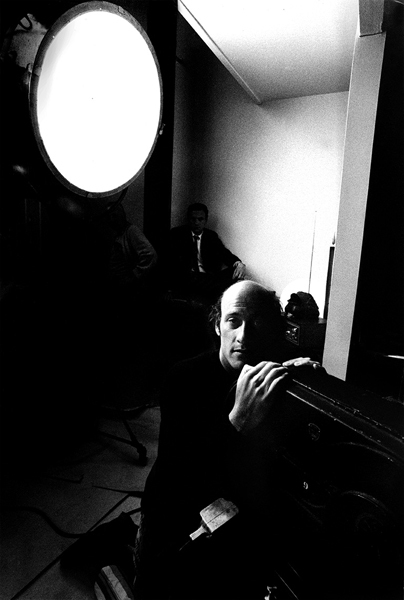 The last of the deleted scenes from PICTUREWISE 3, my Richard Lester piece. Ending with an unmade film seemed too similar to the first installment (available on the Blu-ray of A HARD DAY’S NIGHT). Images are from Bob Willoughby’s The Platinum Years, which Lester recommended highly as about the best set of movie stills he’d seen. I picked the book up in Toronto and scanned the relevant pages on PETULIA. I love how the giant photo is positioned flat, with the crowd lined up diagonally, creating a false perspective. It’s quite convincing in the film, mainly because it would occur to any of us that they’d go to all this trouble rather than shoot on location. I wish the cowboy hero of the movie playing at Verloc’s Bijou Cinema had been called Tom McGuffin, but McGurth is still hilarious. Oddly, despite the ad, the only films we see playing there are an unpromising British comedy, a Disney cartoon, and possibly BARTHOLOMEW THE STRANGLER (we hear a scream from the auditorium at one point). Signs reading “Scotland Yard” appear in nearly all of the classic thriller sextet Hitch made towards the end of his British period, and signs reading “Bovril” are very common too, given how often he used Piccadilly Circus as an establishing shot for London. In this movie it has a plot function too, replacing the Greenwich Observatory of Joseph Conrad’s novel as the target for the terrorist outrage. This sign pops up as a reminder of the slain boy, recently seen participating in a street market demonstration of Salvodont toothpaste. In addition, Hitch uses intertitles to count down to the day of the big atrocity, a device he seems to have borrowed from THE PASSING OF THE THIRD FLOOR BACK, another movie on which his wife Alma had worked as scenarist. And on top of that, since this is a tale of covert action, pitting an undercover cop against a secretive terrorist organisation, much of the story is carried forward in written communications, as it had been in SECRET AGENT, with all those telegrams from “R”. More on this one later, probably Saturday. I’m still catching up!